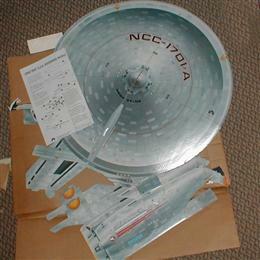 Paul Kostrzewa's Large Star Trek Stuff Collection - Collected It! My wife got this for me off of eBay about 8 years ago, the first one never arrived and the buyer hosed us so she bought me another one! Wow, right? Mint in box, never opened. 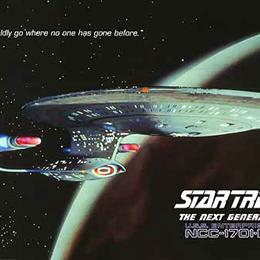 Star Trek: The Next Generation Enterprise D poster with LEDs for the shiops lights, warp nacelles, etc. Great condition, all lights working. Someone gave this to me back in 1992 or so and I've had it ever since... it took a while to get used to walking in an empty room and seeing someone standing there, very creepy at first. Some creases and dogged edges, fair shape. 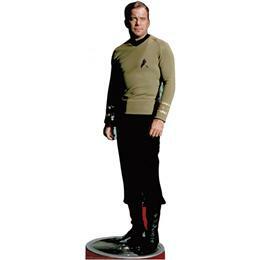 Miscellaneous large, cardboard Star Trek stuff.